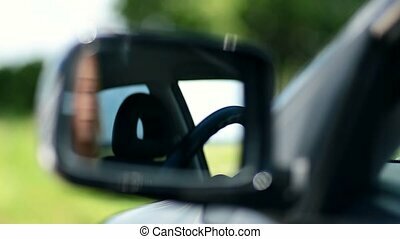 Driver side mirror. 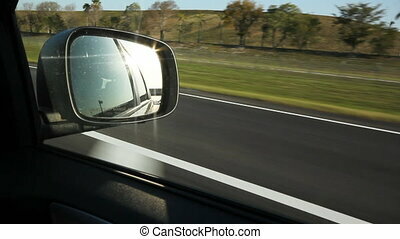 Passing green grassy median. 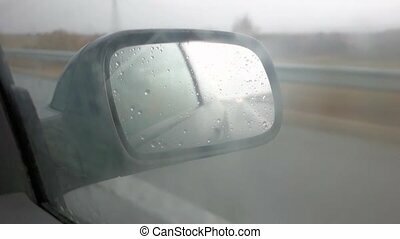 reflections in driver side mirror. 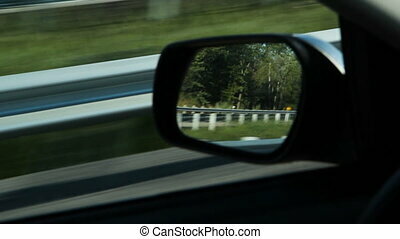 Passing green grassy median. 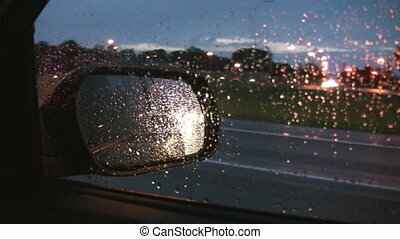 Reflections in driver side mirror. Point of view. 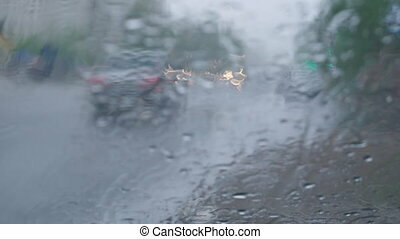 Driving on the Highway Rainy day. 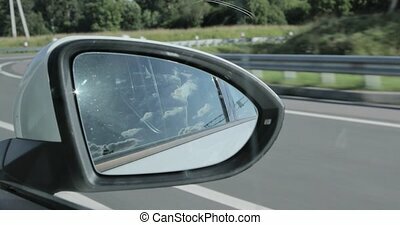 Side mirror of car. 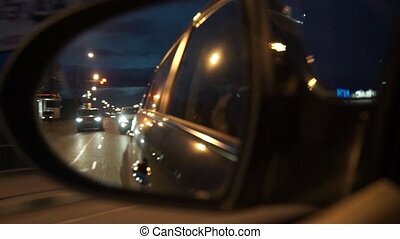 Side mirror rear view of street with houses, cars and streetlights from moving car at night. 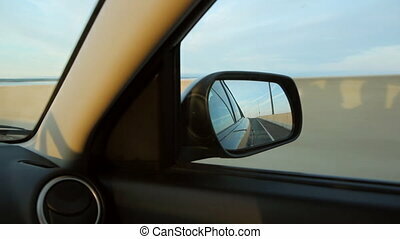 Passing highway divider. 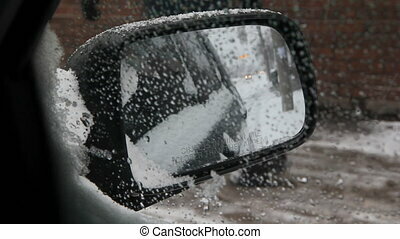 Reflections in driver side mirror. 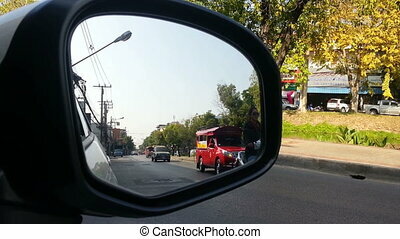 Reflections in driver side mirror. Stop action and timelapse animation effect. 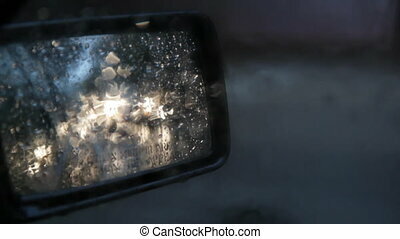 View of headlights in side mirror on rainy day. 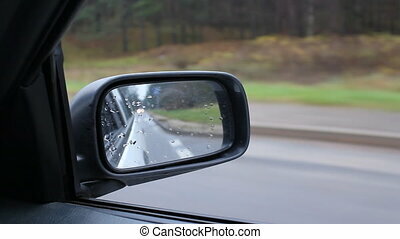 Passing trucks on the highway. 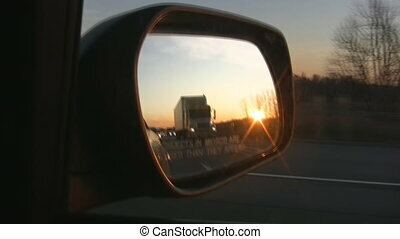 Sunset in the passenger mirror. Highway travel in Ontario, Canada. 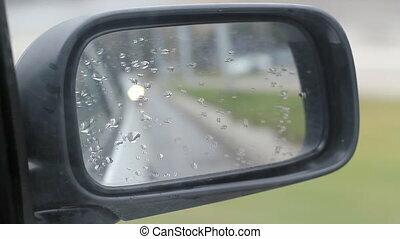 Driving on a highway in southern Florida . 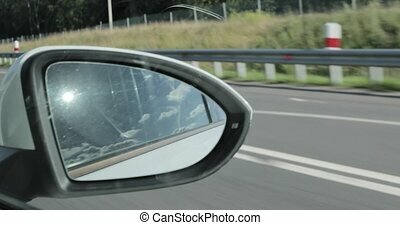 View of sun with sun beams reflecting in side mirror. 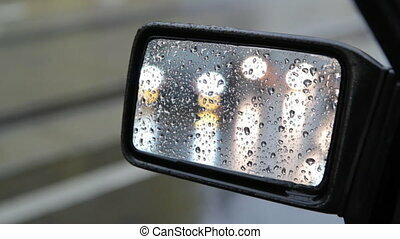 View of traffic in side mirror on a rainy day. Shallow DOF. Use with clip #4683175 to make longer clip. 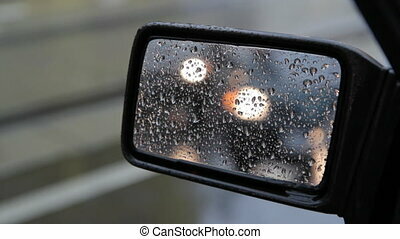 View of traffic in side mirror on a rainy day. Shallow DOF. Use with clip #4682917 to make longer clip. 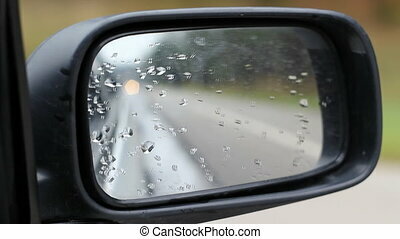 View of traffic in side mirror on a wet and snowy day. Shallow DOF. 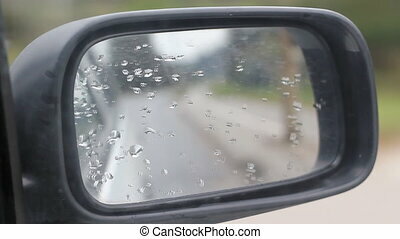 Focus is on drops on window surface. 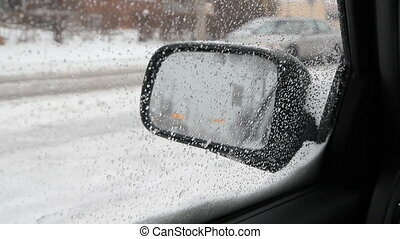 View of sidewalk and traffic in side mirror on a wet and snowy day. 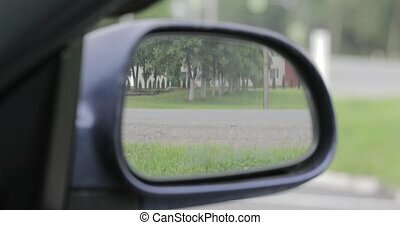 Person and traffic goes by. Shallow DOF. 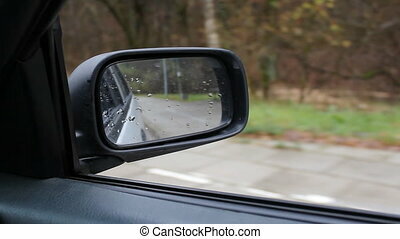 Focus is on mirror surface. 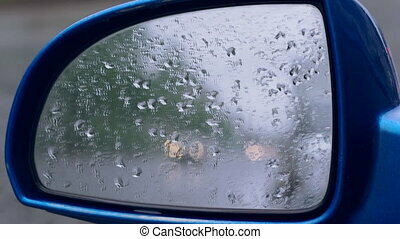 View of passenger mirror through wet side window. Highway 401, Ontario, Canada. Driving on a road past suburbs and a gas station in southern Florida . 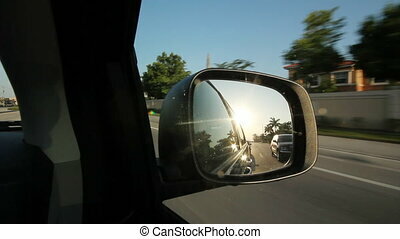 View of sun with sun beams reflecting in side mirror. 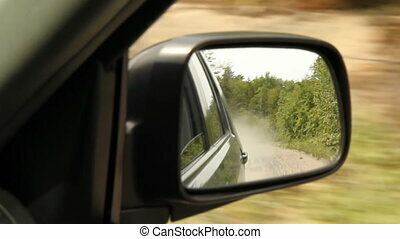 Driving an SUV on a dusty road. 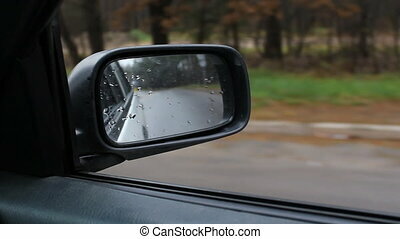 Reflection of dust in the rearview mirror. 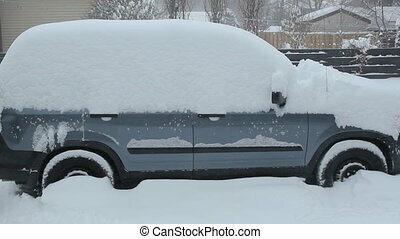 Clearing thick snow from right side of blue SUV. Timelapse. Snow falling. Winter in Toronto, Ontario, Canada. Timelapse clip assembled from photographic stills. 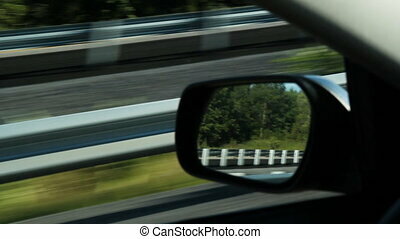 Highway driving with a quick turnaround at an exit. All logos removed and/or blurred. 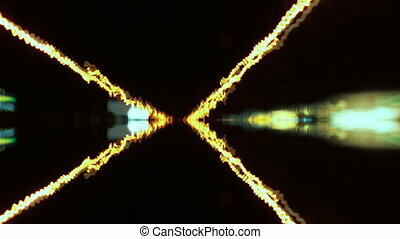 Mirror effect applied in post. QEW highway. Toronto, Ontario, Canada.